We were supposed to leave the hotel at 6:30 AM but ended up leaving a little later. 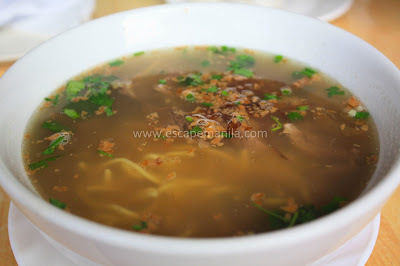 We walked on our way to Ted’s Oldtimer La Paz Batchoy to have a taste of the authentic La Paz Batchoy for breakfast. We ordered the beef batchoy and thought it was better than the extra super as it was more expensive. Well, unfortunately it wasn’t. It tasted just like any other beef mami so we promised to come back there and order the real thing. We took and taxi and told the driver to drop us at the terminal going to Guimaras. Good thing we did not take the jeepney because the terminal was actually moved to Parola since the Ortiz wharf is undergoing renovation. There are actually two boat stations there one going to Buenavista and one going to Jordan (pronounce as Hordan). My friend from Iloilo was laughing at me since I pronounce it as Jordan (as in the country). We asked around and we were directed to the ticket counter. We immediately booked a ticket and went straight to our boat. 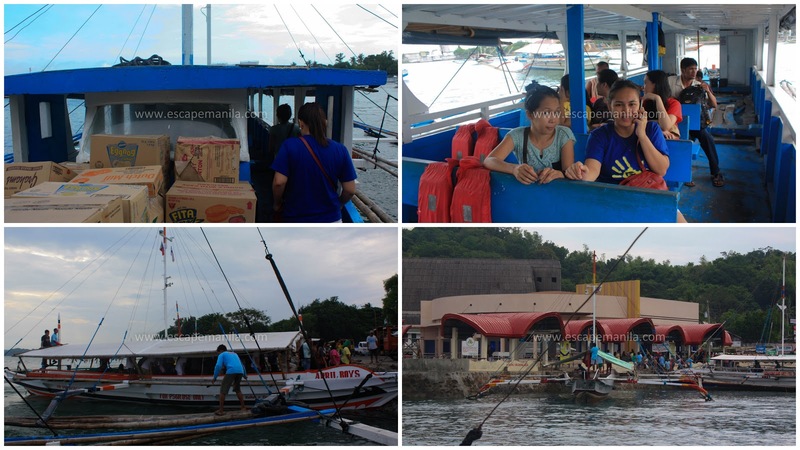 We then called our contact in Guimaras for the day tour. I already communicated to our tricycle driver beforehand. I got his number from another blog. His name is Gerard and his contact number is 09084748122. He was very nice and we think he was the best tricycle driver/tour guide/photographer in town. 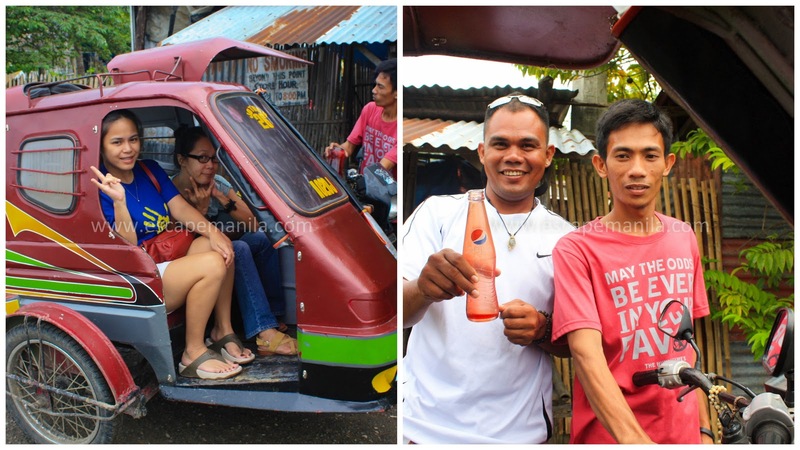 My friends Diwa and Percy and our tour guide/photographer/driver Gerard. He’s the best tour guide in town so contact him if you are planning to visit the Island. We first went to the smallest plaza and took some photos. Gerard told us that it was once a Guinness world record holder. 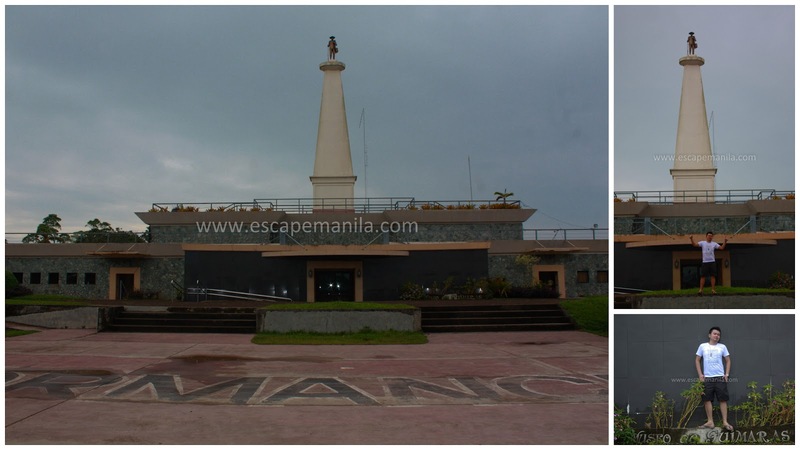 Although it is no longer the smallest plaza in the world, it remained to be the smallest plaza in the Philippines. 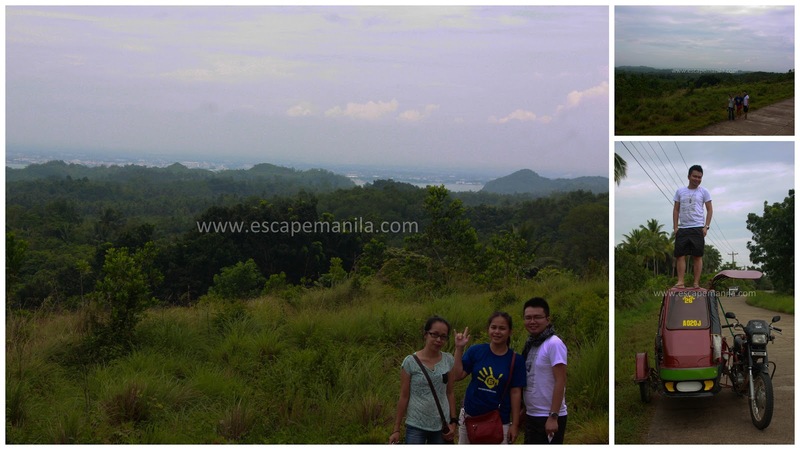 Then we proceeded to the area where we had a view overlooking Iloilo. 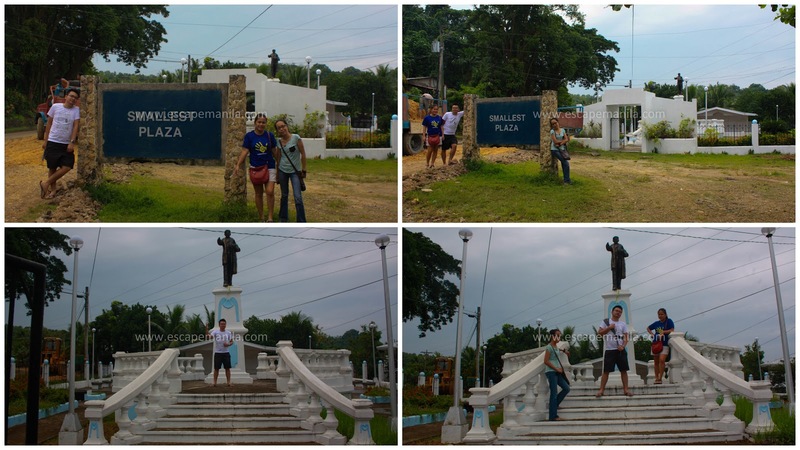 We took some photos and went to our next destination – the Museo de Guimaras. The museum is currently undergoing renovation so it is closed to the public. 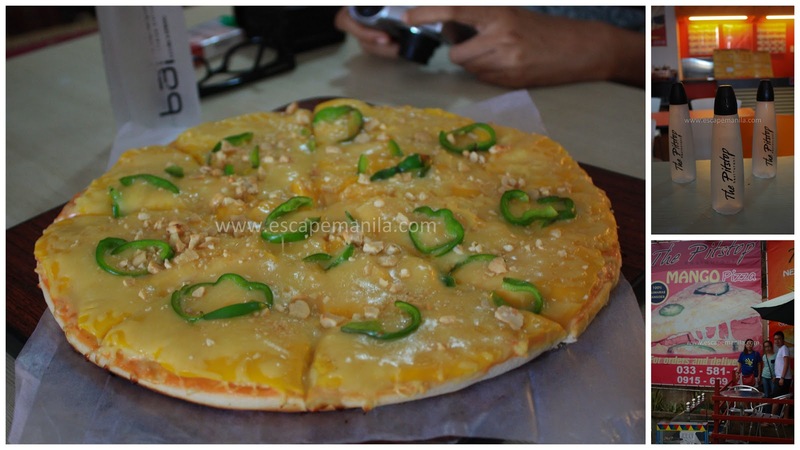 Next, we tasted the famous mango pizza at PitStop restaurant. It was really good and we ate it with gusto. 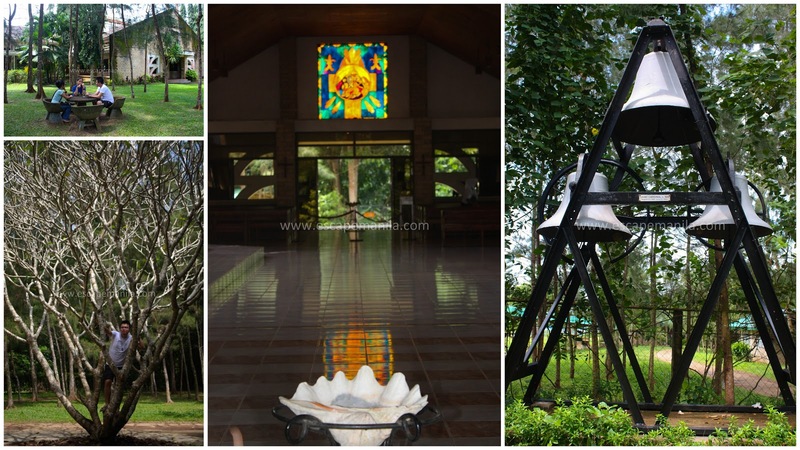 Then, we visited the Trappist Monastery and enjoyed the calmness of the place. It was a peaceful and solemn place. We stayed quite longer in the place since we appreciate its serenity. We went to their pasalubong store where my friends bought some items and I did not. I thought since we are going to the pasalubong center at a later time it would be wiser to buy the pasalubong from there. It wasn’t a wise decision after all. 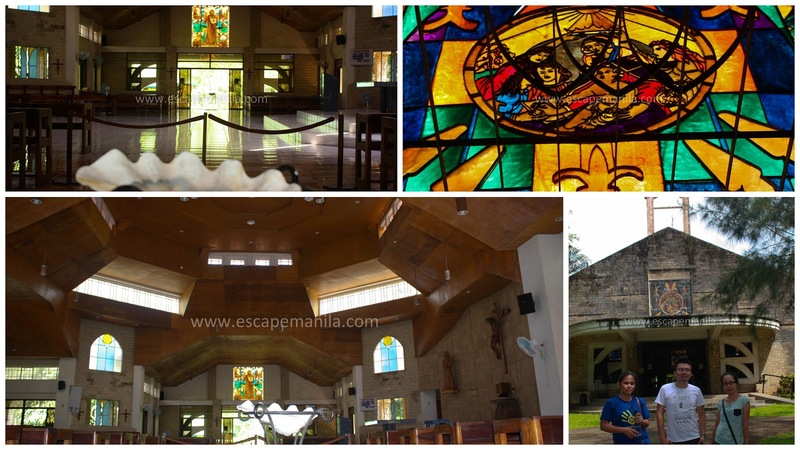 We found out later that most of the items in the pasalubong center were supplied by Trappist monastery so the prices were a little expensive already. 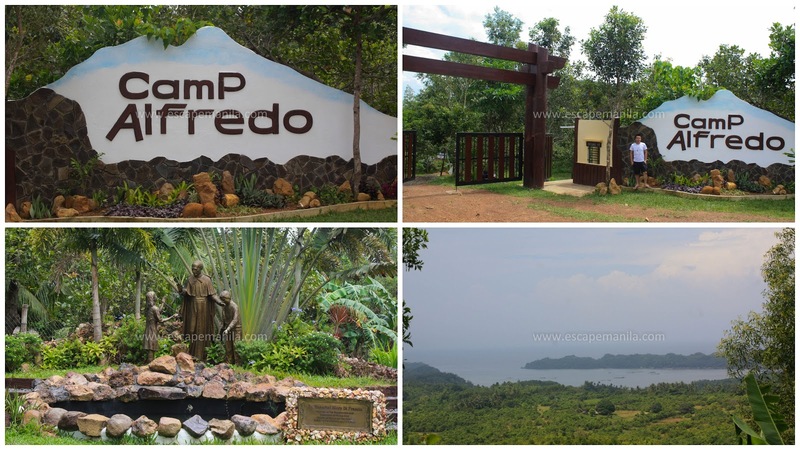 Going back to our tour, Gerard drove us to Camp Alfredo, he told us there was a zip line inside but he said it wasn’t that high so we decided to skip and just took photos at the entrance of the camp. The rain started to pour and luckily it did not last long. 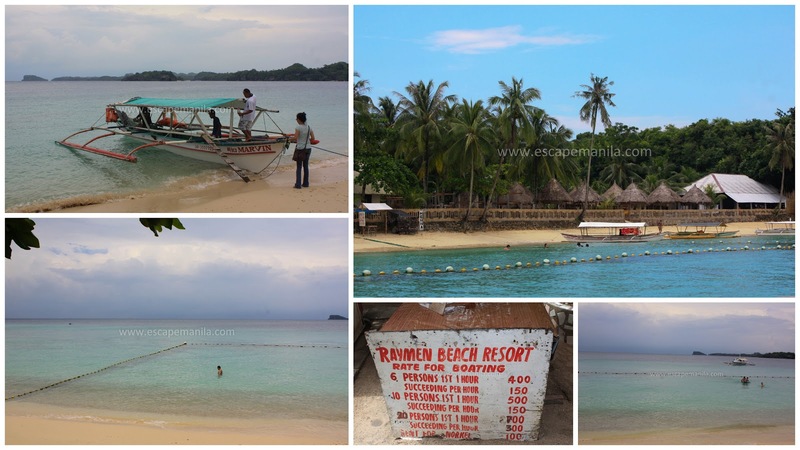 We were supposed to go to Guisi beach and light house but decided to go straight to Raymen beach. The view was nice but we did not swim because we did not bring extra clothes. We decided to avail Raymen’s Island tour. The waves were high so we were not able to go to all the Islands. We first went to SEAFDEC and enjoyed a lot. Manong Romel, one of the technicians was very enthusiastic in educating us about the species they are studying and propagating. He knows a lot and sounds like a scientist! He was very nice and we really appreciate his effort in sharing his thoughts and insights. After such a tiring day, we headed back to Iloilo and enjoyed the rest of the day.